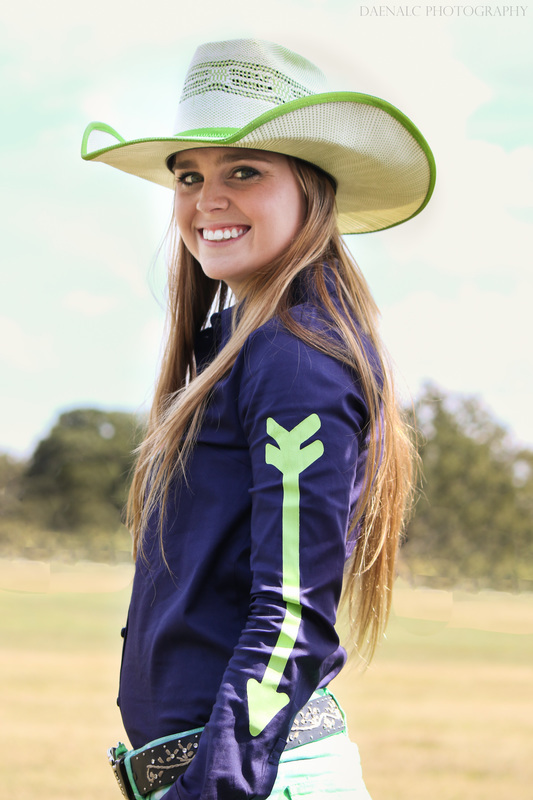 Meet Stormey Ward, 21 year old barrel racer who is currently riding NickNack, the full sister of world champion Baby Flo. Stormey has been riding on and off her whole life, and started out team roping as a header. She began barrel racing a little over 3 years ago but says she recently started getting competitive after meeting Fallon Taylor. “It was just the right place at the right time.” Stormey says. When I asked Stormey about her biggest accomplishment so far, she is just absolutely so proud of being a part of the Dynasty team and riding NickNack. She’s been riding NickNack for about 4 months now, and seeing that team run will blow your mind. 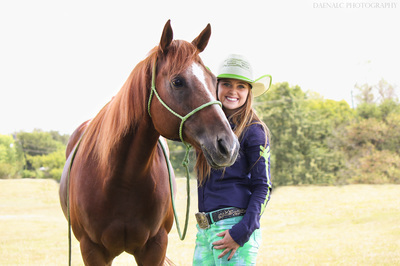 They have an unbelievable connection and you can clearly see the passion that both horse and rider have for the sport. “Fallon, obviously.” Stormey said laughing when I asked her who her biggest mentor/inspiration has been. She explained how she was lucky enough to come in contact with Fallon and began talking with her. 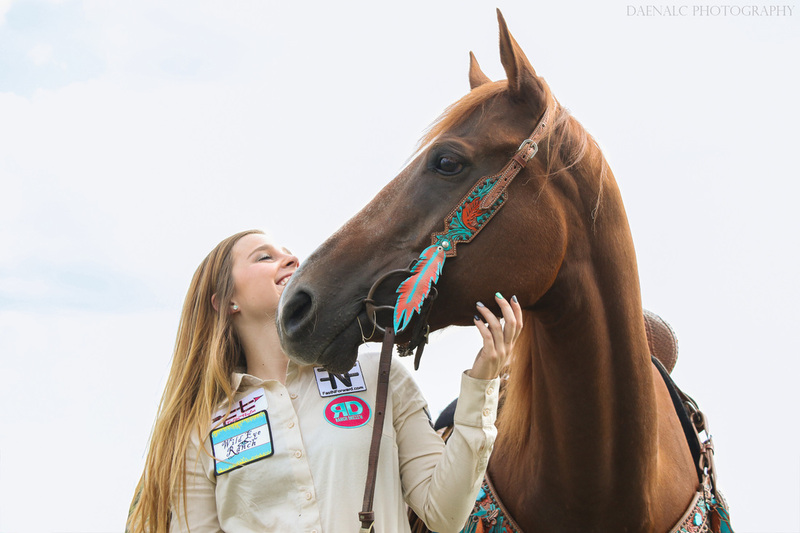 After becoming part of the team, Stormey has become more competitive in barrel racing and has gotten some valuable tips from Fallon and the rest of the crew, such as Jenna Smeenk, another woman I interviewed. This group of friends is a great example of the kind of support everyone needs in their life. Stormey talks about how she really enjoys competing against friends. “I’m up in North Texas and there is soooo many good people up here! But running against them is great because they encourage you to ride harder and they help you.” She says. Later in the evening I was talking with Stormey and Jenna Smeenk, and I asked if they had ever ran against each other. They had to think about it for a second but finally they decided that they had, but couldn’t remember who had done better! That effortlessly shows that while they may be competitive, they don’t let it affect their friendship. 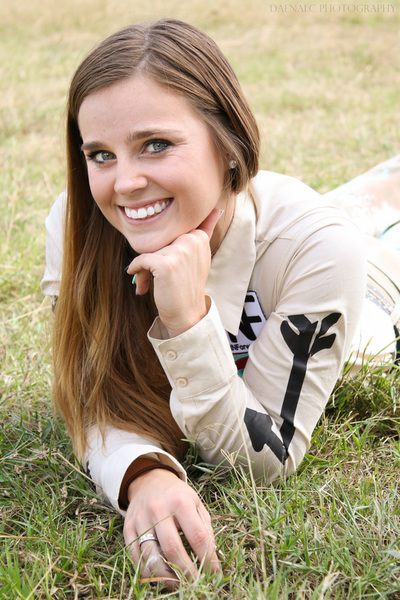 “If you could change one thing about the barrel racing industry, what would it be?” wasn’t a simple question for Stormey although she knew the answer right away. “No bullying.” She responded. While the comments may not be upfront and to her face, it is something that Stormey experiences often. Having a larger following on social media than most, she gets quite a backlash on the things she wears to protect herself while running; helmets and leg straps. 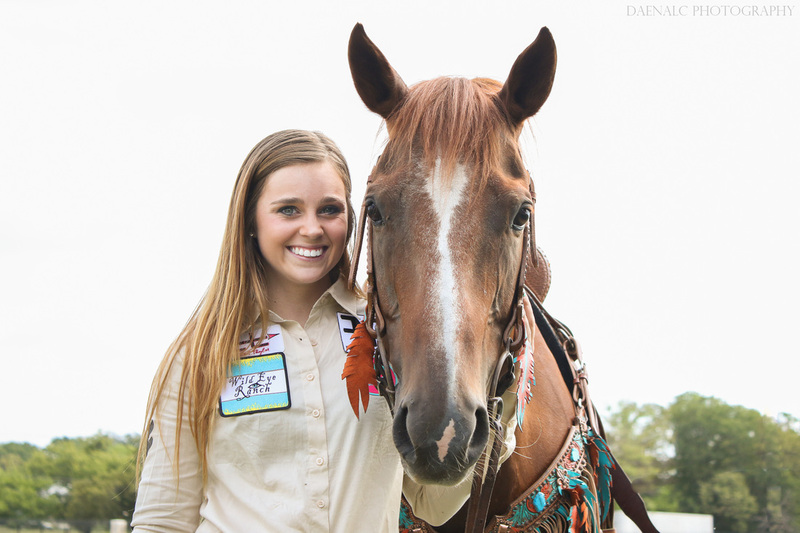 Stormey and the whole Dynasty team are big promoters of safety in the barrel racing industry, and it’s shocking to see the amount of negativity they receive for doing so. Even though it may not be a common thing, and it probably should be common considering the amount of unpredictable accidents that happen, it shouldn’t be a reason for these women to receive hate. When asked about the accuracy of the TV shows displaying the rivalry and drama in this industry, Stormey just started laughing. “It’s not accurate at all. It’s really over exaggerated.” She explains. “You keep your circle close but everyone is friendly. It’s a little bit like a high school reunion all over again sometimes, but there’s not a lot of drama. Especially if you choose not to focus on it.” Stormey is proud of her team and the people she surrounds herself with, she says there isn’t negativity between them and it’s all positivity and support. ​Stormey says the best advice she’s been given is to not give up. A lot like Alissa Burson said, there’s ups and downs in everything, but push through it and it’ll all be worth it. Stormey is a perfect example of this. In such a short amount of time, she’s accomplished a lot. Riding NickNack and Neffy, as well as being part of an amazing team, just goes to show that not giving up has been worth it. The best advice Stormey would give to someone else, was something she herself did. “Watch YouTube videos.” She said laughing. “It sounds a bit weird but I learned a lot by watching videos online.” And that could not be more true. The amount of professionals and world champions that have online videos giving advice and tips is bigger than it ever has been. You can easily learn by watching what others have done, and advice they give. When I asked Stormey how she balances rodeo with other aspects of her life she responded with “Thankfully all other aspects of my life involve rodeo. This is my job and I love it.” Stormey talks about while her boyfriend goes to rodeos with her, the rest of her family knows if they want to see her, that’s where she’ll be. ​Overall I have to say this girl was an absolute ball of energy and so fun to be around, but the advice she gave exceeded all expectations I had. I really admire how she is such an advocate for safety and positivity. But something that really stuck out to me was how thankful this girl is for everything. She talked about how happy she is to be a part of such an amazing team, and how much she loves riding NickNack. After texting her a few sneak-peak shots of her and her girl she responded with “I’m trying not to cry. You have no idea how much this means to all of us!” I think I also got a million thank you’s too! Stormey, thank you so much for allowing me to interview you and to capture the bond between you and NickNack. Without a doubt you both have a great future ahead of you and I wish you the best! Click below to see a few shots from Stormey's photoshoot.